We are committed to providing the finest in veterinary care with our full-service hospital. We are always accepting new patients and look forward to assisting you. Caring for your pet through each stage of life. We are proud to offer referral appointments in Internal Medicine and Oncology. Our hospital features state-of-the-art equipment for fast and reliable treatment. Pet Emergency? Call us right away at (401) 539-1199! 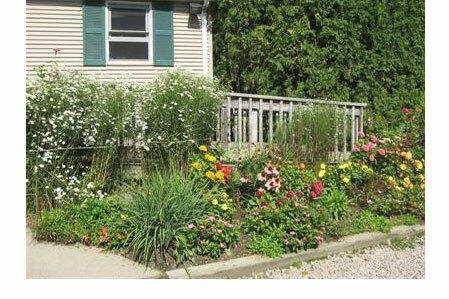 Wood River Animal Hospital is a full-service veterinary medical facility, located in Wyoming, RI. The professional and courteous staff at Wood River Animal Hospital, Inc. seeks to provide the best possible medical care, surgical care and dental care for their highly-valued patients. Dr. Serra opened Wood River Animal Hospital in 1992, with a vision to provide quality General Practice and Internal Medicine specialty services in a relaxed rural setting. He is a native of Westerly, Rhode Island and a 1977 graduate of the University of Rhode Island. Growing up in Southern Rhode Island, Dr. Fischer was active in 4-H and even worked at Wood River Animal Hospital as a veterinary technician. After receiving an Animal Science degree from The University of Rhode Island in 2010, Dr. Fischer was accepted into the Ross University School of Veterinary Medicine. Joe Impellizeri DVM, DACVIM (Oncology), MRCVS of Veterinary Oncology Services, is a 1994 graduate of Cornell University who became a Diplomate in the American College of Veterinary Internal Medicine, subspecialty of Oncology in 2005. Dr. Clark DVM DACVS Diplomate ACVS of Veterinary Surgical Specialists, Inc. is a board certified travelling surgeon who provides his expert services to veterinary hospitals in Rhode Island and Massachusetts. "Dr. Serra and his staff are the epitome of professionalism, expertise and compassion. We were treated with the utmost respect and concern. The skill of his medical staff is remarkable in the care given their animal clients. Dr. Serra is in the top of his field and employs cutting edge technology. If you want the best for your pet, this is the place for you." "WRAH is a caring facility with exceptional staff. The techs are patient, competent and truly want the best for the patients. Drs. Sera and Fischer treat all patients as there own and are very bright not only in Internal Medicine, but have a knowledge of other specialties. They start with the most non-invasive treatments to limit discomfort for patients. This is also my philosophy. Recommend in a New York second." "My pets always receive excellent care from both Dr Serra and Dr Fischer. The staff are always caring, attentive and take the time to explain things. I would highly recommend WRAH to anyone needing care for their pets." "Excellent as always the technitians are awesome and love animals as it shows in their work! The doctors are great with people and animals as well!! The staff is always accommodating and professional i would recommend bringing your pets here." "As always the attention that Dr Serra provides makes you feel as though you are his only patient. He doesn’t do unnecessary tests and really cares for the patients well being. We live 45 minutes away and wouldn’t think about anyone else taking care of my dogs." "We love you guys. Such a cheery and heartfelt group. You’re part of our family! And I know you love Mercedes too since you don’t want to give her up. You’ve made our life easier and I know she is getting the best care and love. Can’t thank you enough." 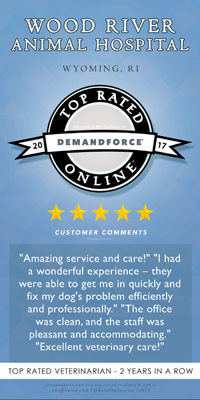 "My dogs have always gotten just the best and most thorough care at Wood River Animal Hospital. They are very sympathetic and understanding beyond the excellent medical attention and thorough personal explanations of any situation. I could not be happier with all the careful attention they all have gotten over the years." "Dean and I would like to thank Dr. David and his staff for the excellent care we received when bringing Ellie in on Thursday. She was so sick. Ellie our Basset is such a special girl in our life. Dr. David has treated all our 4 legged family members with the same compassion. We wouldn’t know what to do if we didn’t have such a wonderful, kind and compassionate Dr. and staff." "I have been taking my 3 shepherds to Dr Serra for over 12 years now. He and his staff are excellent, caring and compassionate. He has taken great care of all our dogs and us as well. I highly recommend Wood River." "Dr. Serra and his staff are so kind, compassionate and helpful. Everyone at Wood River is very professional, knowledgable, courteous and friendly! My precious little Boston Terrier “Jake” and I highly recommend this establishment!!"